With people spending so much time in the bathroom, shouldn’t every minute be enjoyed? Transform any bathroom into a private retreat with the remodeling products available at ProSource® of San Antonio. 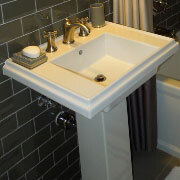 Browse faucets, sinks, showers, tubs and more, each striking a balance between styling and function. The sink is much more than a place to wash hands or brush teeth. It’s one of the most important parts of establishing a bathroom’s decor and visual aesthetic. Choose from above and under-counter options, or select a pedestal style, all available in a variety of materials and finishes. The faucet is often overlooked visual asset. More than just way to move water into the sink, it serves as a unifying element. Select the style, finish and function which best match the overall design. 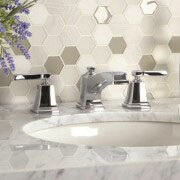 A remodeling project would be incomplete without a beautiful new faucet that seamlessly matches the rest of the bathroom. Treat your bathroom remodel project to a new shower, and watch the stress of the day get washed away. At ProSource, you’ll find a complete line of shower products, including doors, handles, heads, and other accessories. You can entirely transform this space to make it even more inviting and relaxing. 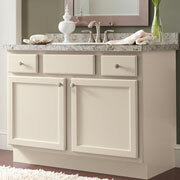 The vanity in any bathroom is an ideal way to provide valuable storage space and a pleasing visual addition. Paired with a decorative mirror and illuminating new light fixture, the vanity can quickly become the most eye-catching part of a remodeled bathroom. The tub is used as part washing and part escaping. 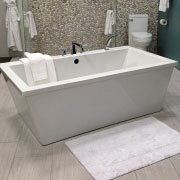 Soak up the mired of tub possibilities available. From traditional looks to modern classics, in different sizes and shapes, ensure a match to the bathroom’s personality. The functionality of a toilet is important, but the style should be equally considered. It’s an important part of any remodeled bathroom and should match the aesthetic of the room. 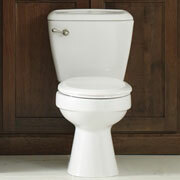 At ProSource, we have eco-friendly toilet options that are easier on water usage and the wallet. We are proud to serve San Antonio, Texas, as well as those in the surrounding communities. The ProSource of San Antonio showroom is conveniently located in San Antonio, Texas and serves all of the neighboring cities including Adkins, Atascosa, Boerne, Bulverde, Cibolo, Converse, Elmendorf, Helotes, JBSA Ft. Sam Houston, JBSA Lackland, JBSA Randolph, Saint Hedwig, San Antonio, Schertz, Universal City and Von Ormy.